We recommend that when staff or volunteers leave your agency or discontinue service with you, that you disable their user profile rather than delete it. We recommend that you only delete a user profile if it was created by mistake, or the user has not done any “work” in iCarol (signed up for shifts, submitted call reports, created or edited resource records, etc.). This is because when you delete a user, all interaction he or she had in iCarol will no longer be attributed to them. For example, you will no longer be able to see which shifts they served, which chatboard posts they created, which call reports they submitted or which resource records they created or edited. Instead of listing a name in call reports and resource records, “unknown or deleted” will be shown. If the user is disabled, their name will remain on the interactions, but they won’t be able to sign into iCarol. Click on Vols-Staff in the left hand menu, and then click on the name of the person you would like to delete. Once you are in the user profile, click the edit button at the top of the screen. The buttons at the top of the screen will change. Click the Delete button. Warning text in red will be displayed, explaining the effects of deleting the user profile. If you delete the profile, the effect is irreversible and we cannot recover this information for you. 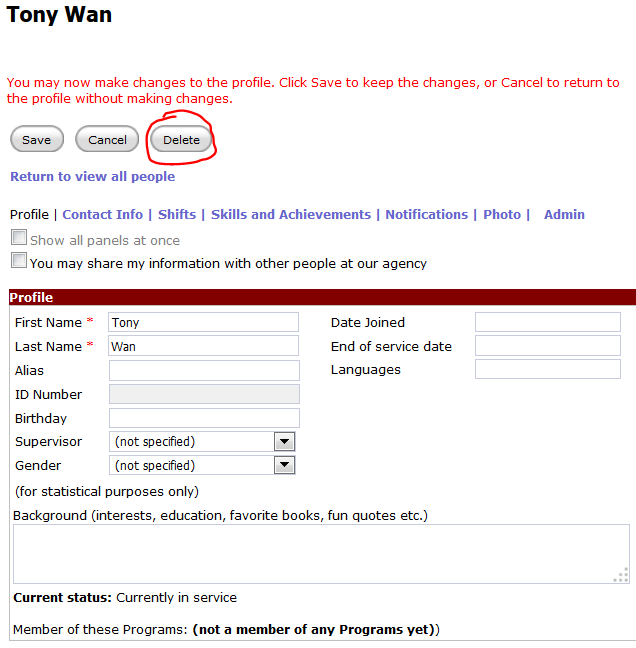 If you are sure you want to delete the profile, click Confirm deletion. 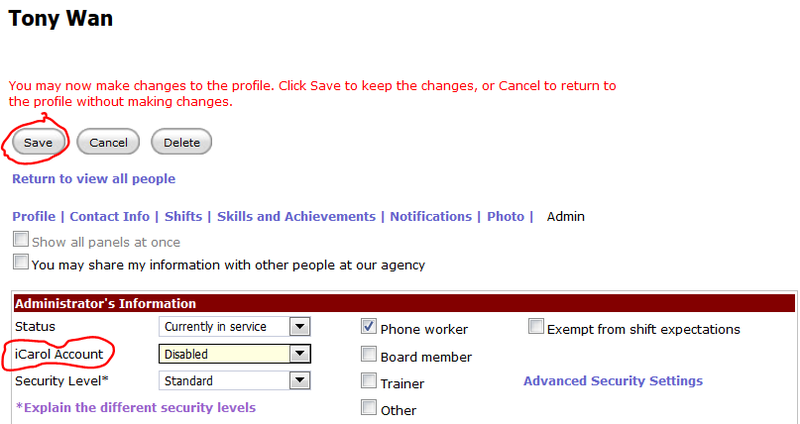 Click on Vols-Staff in the left hand menu, and then click on the name of the person you would like to disable. 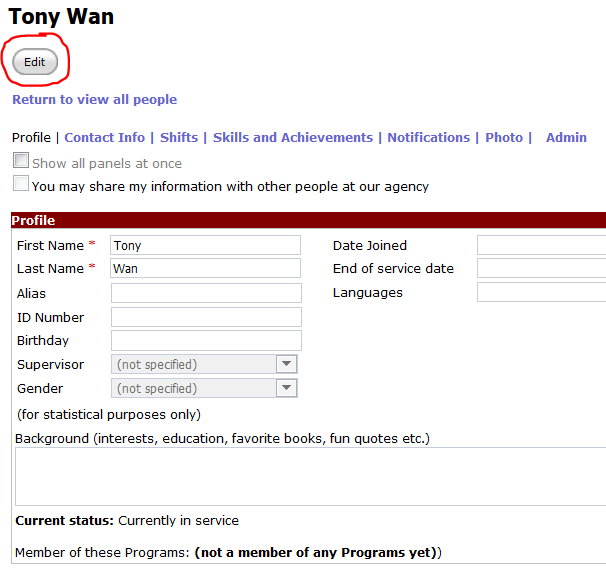 Click the Admin tab in the user’s profile, and then click the edit button at the top of the screen. Click the drop-down menu next to iCarol Account and choose Disabled, then click the Save button at the top of the screen. If you have any questions, please do not hesitate to submit a case to the iCarol Support Team!